Cities have to spend this money, taken from local taxpayers, because Canada's medicare system is the only universal, public health care system among developed countries that does not include universal coverage of prescription drugs. It is not wrong for cities to care for their employees. But leaving these costs to the cities makes about as much sense as requiring every homeowner to maintain the roads and infrastructure surrounding their property. Here's why. Canada's cities face a number of problems: traffic, housing, crime, infrastructure -- the list goes on. 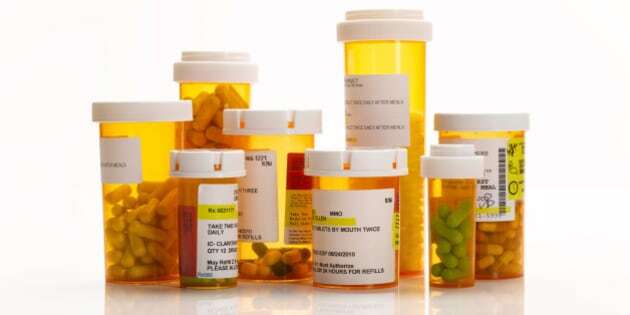 Prescription drugs are one of these problems, one that is costing local governments as much as $500 million every year. How so? Municipalities, like most employers, realize the value of a healthy workforce. Recognizing that access to necessary medicines is critical for health and well-being, many cities offer their employees private insurance coverage for prescription drug costs. For example, data provided to me on request shows the cities of Toronto and Calgary spend approximately $43 million and $20 million, respectively, on private drug insurance plans for their employees. The coverage they offer is relatively comprehensive, resulting in costs per employee that are equal to private sector averages. Vancouver and Halifax offer less comprehensive drug coverage for their employees but still at considerable cost -- about $3 million each. The numbers add up. According to Statistics Canada, there are over 600,000 local government employees across the country, about two thirds of whom receive private health insurance from the cities, towns and districts they work for. Based on the cost of such coverage for the four cities above, these local governments are spending about $500 million a year on private drug insurance for their employees. Cities have to spend this money, taken from local taxpayers, because Canada's medicare system is the only universal, public health care system among developed countries that does not include universal coverage of prescription drugs. It is not wrong for cities to care for their employees. But leaving these costs to the cities makes about as much sense as requiring every homeowner to maintain the roads and infrastructure surrounding their property. Here's why. Just as would happen if infrastructure was left to individual homeowners, the system that leaves drug coverage to individual patients and employers -- including cities -- creates an uncoordinated patchwork. Most cities provide coverage, but some can't afford to. Some workers qualify for coverage, but some don't. The same pattern plays out in cities, hospitals, schools, and businesses across the country. As a result, millions of Canadians are without drug coverage and one in 10 Canadians cannot afford to fill their prescriptions. This patchwork is not just inequitable, it is profoundly inefficient because it fails to place responsibility for drug coverage and costs with the right level of government. Provinces and the federal government are responsible for Canada's health care system. They are best suited to manage access to medicines as an integral part of health care for all Canadians. They are also best positioned to reduce waste and overspending on pharmaceuticals. Having multiple drug plans operating in every province -- including multiple private plans for public sector employees -- needlessly duplicates administrative costs. Worse yet, this fragmentation diminishes Canadians' purchasing power on the global market for pharmaceuticals. Provincial governments wield about $10 billion in purchasing power when negotiating rebates for prescription drugs. This reduces public drug plan costs by millions of dollars. But it does not lower costs for cities and other organizations who insure their workers through the private drug plans that are miniscule in comparison. A recent study in the Canadian Medical Association Journal shows how a universal public drug plan run by provinces could provide all Canadians coverage for prescription drugs while saving taxpayers $7 billion per year. Such a program would end the downloading of $500 million worth of prescription drug costs to local governments and thereby allow cities to better address problems like traffic, housing, crime, etc. For these reasons, the federal and provincial governments should take responsibility for our prescription drug problem by implementing universal pharmacare for all Canadians. Doing so would support the health and wellbeing of public and private sector workers alike at far lower cost than Canadians are paying for our disorganized, patchwork system today.